Excelerate SPANISH is what you’ve been waiting for. With a revolutionary approach, Excelerate SPANISH makes learning the language fun and easy. 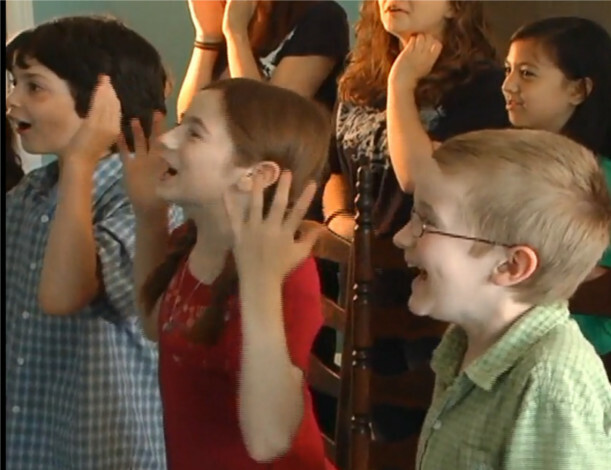 And with a full set of DVD lessons, teachers and students of all ages can learn together! Want your children to EXCEL at languages? See how gestures, action sequences, and skits accelerate the process! Teach your children Spanish in ways that build real fluency, engage, stimulate, and produce results. Discover the power of STORY! Excelerate Spanish provides you with all the tools you need. Convenient DVD lessons do all the modeling for you, allowing parents to learn right along with their students! Excelerate Spanish is appropriate for families, co-ops, and classrooms! Lessons are presented in an engaging way appropriate for all ages. Excelerate Spanish takes the grief out of learning a language by accessing more of the brain and optimizing instructional techniques to align with brain function. 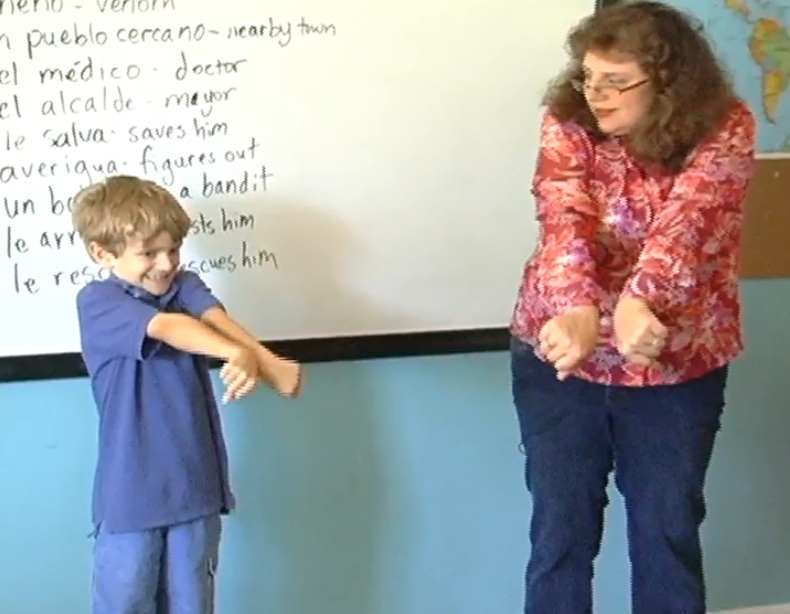 This makes learning a foreign language more natural and fun! After just one lesson, my children and I were happily repeating short stories in Spanish! Unbelievable!